Camera backpacks come in many shapes and forms, and the price range spans from dirt cheap to high-end pricey. Cost doesn’t necessarily equate to quality, though, so to find the best camera backpack for you, begin with the basics. How much gear do you want to carry and where will you be walking with it? Fair warning – most of us find we need more than one backpack based on purpose. A smaller day pack might work for those shoots where you know the camera and lens combos you’ll use and the largest other piece of gear you want is a tripod. For overnight travel to faraway locales, you aren’t sure what you’ll need so you bring it all. The good news is that flexible, durable backpacks made with the padding and protections necessary for cameras and lenses don’t have to break the budget. Since these are backpacks, consider the weight distribution and comfort factors of what you’ll be willing to carry. Here are our best picks based on purposes many of us photogs share. This backpack straddles the line between extensive gear day pack and overnight travel photography companion in an airline-compliant size. Three segregated interior compartments allow you to access only what you need when you put your hands inside, and it opens completely as well to let you see everything you’re taking. It houses a healthy-sized laptop with a separate slot for a tablet or e-reader. Adjustable padding in the side-access camera and lenses area can be user-configured. Other compartments have pouches, slots and other ways to keep you organized. Outside pockets make things like paperwork or documentation easy to get to, and the complete structure can be covered by a rain poncho. Yes, carrying something with the Lowepro logo screams camera bag, and some may be concerned that creates a security target on their backs. If the shoulder straps are on, though, it’s hard for someone else to be unsnapping buckles or unzipping zones without you knowing it. Drop one shoulder strap and swing it around your body to change bodies or lenses without putting the backpack on the ground. Other issues come up with the removable waist belt (hip straps) that are difficult to put back into place, and with the single outside mesh pocket which can carry your travel tripod or water bottle but not both. On the plus side, hidden straps can loop around the handle of a suitcase to stack and roll your luggage. This is a versatility-plus bag, and for that reason, it remains a perennial favorite of both enthusiast and professional photographers. If carrying your camera body and a couple of lenses is all you need, this sling-style camera pack will fulfill your gear requirements. Made of a sturdy nylon fabric, it is worn across your body, either in front (greatest security) or on your back (best ergonomics). It does not have room for a laptop or tablet. While this bag doesn’t advertise its contents, it can be identified as something other than a messenger bag based on its roughly triangular shape. That fits your camera plus lens well and helps it fit the contours of your body. Swinging it around from your back to your front affords you access for a fast lens change or stashing your camera. If you need something for your compact camera plus miscellaneous other travel needs like wallet and keys, the interior can be configured for multiple purposes. Users note the strap is well-padded and comfortable. Some complain the zippers aren’t enough to hold the bag shut and closing/opening the buckles takes valuable shooting time. Reviewers mention that this bag isn’t really large enough for most DSLRs plus lens plus other gear. Still, there are plenty of smaller format camera users out there, and for you, this can be ideal for both heading out to shoot and storage at home. Fasten your tripod on the bottom and prepare for a day of camera fun, even in the rain. 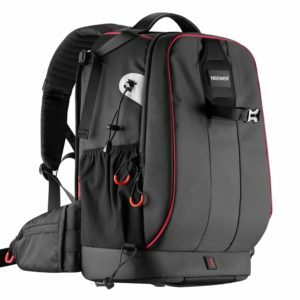 If you’re carrying a lot of pro-level gear, you want a backpack that can morph into the interior configuration specific to your needs. This Tamrac is designed with the pro in mind, and in fact, many professionals use it as their daily bag. Padded dividers Velcro to the walls in an almost limitless number of combinations, so carrying anything from big lenses to flashguns is easy to do. Part of what makes this easy to carry is the structural panel against your back which both distributes weight and cushions your spine. A sturdy hip belt suspends weight to more touch points. Padded shoulder straps make this a good bag for longer hikes and extended travel, and the rain cover keeps things safe in inclement weather. Security is good on this bag for the most part, but in this case, it also creates a negative for easy access. You can find things easily, but you have to put the bag down and unzip it fully to do so. Luckily, the materials are generally weatherproof, so setting it on the ground is doable. Note that this backpack may be too large in overall dimensions to meet some international airline limits. It earns high marks for camera and lens protection, a plethora of slots for odds and ends inside, and accessible small pockets on the outside to hold miscellaneous stuff, making it a good travel camera bag choice nonetheless. Strap your large tripod to the outer back and go in search of that perfect pro shot. If security is a big worry for you, look for a backpack like this Abonnyc with rear access. This means the zippered compartment for your bodies and lenses is located against your back where no one can fiddle with it when you have it on. The compartment features fully adjustable padded partitions you can design into whatever configurations you need. The trade-off for all that security is in ease of access to your equipment. You can shrug off a shoulder strap and swing it around your body, unzip the gear compartment, and use the flap like a shelf while you change lenses or search for what you need. This being said, it takes practice to manage this without spilling other things out too. Users say they wish the backpack came with waist or hip straps to help balance the load, particularly when a tripod is fastened into the extended side pouch. Some noted problems with interior materials tearing. The D-rings are plastic and may not wear well. While this backpack doesn’t sport the array of little pockets and slots some of the others have, it makes up for that in security. Reviewers note that you can access the interior from the back, but you have to really work for it. This bag is good for both day trekking and airline travel to faraway places, including working in wet conditions. If your camera comes with a drone attached, this weatherproof backpack will accommodate it all. The adjustable padding in the main compartment is simple to reconfigure based on what you need to carry. All of this can also be removed, making this a good general purpose backpack for non-camera/drone use. A unique feature is the combination lock, making theft from the interior almost impossible. It has so many places to store smaller objects, it might be a challenge to get organized. Flexibility, when it comes to cameras or drones or cameras on drones, is a big plus. The bag is the heaviest on our list. The padded shoulder straps may be a bit narrow for some users, though the waist belt means the load will be distributed better on your body. It is a tall backpack, so if you are of a shorter stature, you may not feel comfortable with a backpack looming over your head. If you’d rather not carry the backpack on your back, you’re in luck, because this one has wheels to roll it along too. You might need to once you fill this big beast. It manages the load efficiently, which will give you everything you need in the field for those still images or overhead videos. If you’re just beginning with photography and aren’t yet sure what features you want in a gear backpack, this basic Ritz model will cover you as you figure things out. Padding in the main compartment can meet most configuration needs, though it is not fully adjustable. It is made of waterproof material and comes with a rain poncho. Access is provided by fully unzipping the main compartment, which means you’d need to set the backpack down to change lenses. The outer material is waterproof, so putting it on the ground for short periods should not be an issue. Pockets for other small items are in the outside back zippered area or in a small slot in the main compartment. The small tablet pouch is on the outside pocket. It is less waterproof in rainstorms than the manufacturer might lead you to think. Some users complain about the quality of the construction and lack of durability, but at this price point, you can almost consider it a disposable. This backpack is small and practical for day trips. Its light weight won’t wear out your back, and while it won’t last forever, it gives you a better idea of what you want when you buy a more expensive camera backpack. If you’re looking for a camera bag for your child and his/her camera, this selection could be ideal. If your gear collection is anything like mine, the accumulation of pieces and parts over the years results in an assortment of things that work on a single lens (like filter sets) or gadgets (that cool level cube) or helpful accessories (more lens cleaning cloths than I care to count). It’s easy enough to keep things semi-organized when you are home, but when you head out into the field, what happens? That’s right – you grab what you think you’ll need in the moment and forget the little things that make shooting easier. This defines the need for a camera backpack, one designated for gear alone so you can store the essentials where you know you’ll have them next time you’re on a shoot. But which one should you choose? And is only one enough? This is one time when size definitely matters. For example, if you primarily travel to a location with your car, you can afford to have a go-bag of camera and lenses along with a box or other container of sometimes-I-need-this stuff. In this case, the backpack needs to hold the necessary mechanicals of the day and perhaps water and snacks. On the other hand, if you and your gear are headed to Central America on a variety of planes (think jumbo jet to puddle jumper), you probably don’t have the luxury of extra room. You might carry a change of clothes, your laptop, and toiletries along with the camera/lens combos. Space restrictions also factor into the size you’ll be able to carry on board a small plane. Having had to unpack my backpack and put the two cameras, two extra lenses, and a laptop in my lap for an over-water flight in bumpy weather, let me be the first to tell you that you want to plan this very, very carefully. I wished I had a smaller backpack in which I could have stashed what I needed overnight and left the big backpack with my suitcase shoreside. Sometimes you need different sizes based on conditions. Camera, check – and your Canon, Nikon, Sony or Fujifilm lenses too. But what if you have multiple bodies, or multiple lenses and filter sets? How many of these choices do you usually want to carry with you? It’s helpful to conduct a gear inventory to make sure you know how much you want to tote on a regular basis. Think about the various peripherals you’ll want too, like tripods and monopods, flash guns, battery backups, etc. Add room for your laptop or tablet, plus perhaps a change of socks or more. When it comes to camera bodies and lenses, take into consideration the size of what you’re carrying. If you have a DSLR body with a battery grip, you need more room than a mirrorless camera alone. A zoom lens with a long focal range needs more space than a Nifty Fifty. It’s always fun to be carrying the obvious camera gear backpack and have someone say to you, “You’re a photographer? That’s so cool.” It’s only cool as long as no one lifts your gear. While it’s fun to be noticed for what you do, pro or enthusiast alike, you also want to protect your investment. That means making sure no one can unzip your bag and remove precious cargo without you knowing it. If you visit places where you don’t think someone will walk up behind you in a long line and surreptitiously take a lens or body, this might not matter as much to you. However, any of us who frequent crowded streets or airports need to be aware. When your backpack is loaded and you’re shuffling along in an endless check-in line and your travel-tired attention is on potentially missing your flight, you might not feel someone fiddling with your bag. Load your backpack, have a friend put it on their back and try to get into it yourself – you’ll see how easy it can be. Here’s the other side of the security issue: ease of access to your gear when you need to change a lens or find a filter or grab a different body. Setting your backpack on the ground isn’t always a possibility. Even if you could, will you be able to get in, find what you need, and frame a shot before the opportunity slips away? Perhaps the best backpacks are the ones you can sling around your body when you want to retrieve gear. Even those with the best design require practice to pull off a trade without spilling something on the ground, so training is required. You’ll find out soon enough how fast you can make a change with repetition, and that could mean the difference between catching a decent shot with the good gear you already have in your hand versus dropping a lens in the mud and missing the shot completely. Ease of access remains one of the hardest things to judge without loading the bag and trying to change body or lens without putting the backpack down. Imagine having the camera on a strap around your neck and trying to swing a large backpack around in front of you to change the lens which has a cap on the electronics end that you need to put on the lens you’re removing and trying to store. You need three hands, so you want the backpack as the substitute for one of them. If you look back at what we used for camera bags in decades past, many of them were boxy rectangular things that hung from one shoulder and bounced on hip or back as we walked. Even today, most of the kits sold in the U.S. come with the same kind of bag. It’s just big enough to fit what you bought in that kit, but not much more. Backpacks are the ultimate camera gear bag because you aren’t carrying the weight on one shoulder but distributed on both across your body. The bigger the bag, the more support is should have, and the more you’ll want padding between you and the frame against your spine. If you end up with a large backpack and lots of gear, you’ll want sternum and waist/hip crossbands to distribute and balance that weight even further. Padding and pockets should be your buzzwords when it comes to the interior of your camera bag. It’s a fact that no matter how careful you try to be to avoid jarring the backpack as you move, inevitably, you will. Extra padding could mean the difference between happy use and disaster for your expensive equipment. You also want separate slots and pockets to corral the little items. Organizing by category, like all filters in one pocket, makes finding what you need a quick event. We all have lots of tiny things, and you don’t want those to spill out when you access the big stuff. The outside of your backpack is as important as the inside, because there will be times when you must put it down on wet tarmac or wet grass, or you need to open it under less than ideal weather conditions. Many camera-specific backpacks have extra padding and weatherproofing on the bottom for this reason, something you don’t find in the run-of-the-mill day pack. Most camera backpacks have weather ponchos, either built-in or loose. Think carefully about buying any backpack that claims to be waterproof but doesn’t have a covering. While today’s zippers can be resistant to normal moisture, you wouldn’t want to be caught in a rainforest hike deluge with only it between the next great flood and your camera investments. Can I use a regular backpack for my camera gear? What size camera backpack is best? Can camera backpacks be used for other purposes? What size backpack offers the greatest flexibility? What are the backpack size requirements for carry-ons? How should you store your backpack? Approaching a camera backpack decision is as much about how you’re going to use it as it is the features and characteristics of each possibility. Overall, though, there are things you need to know about the advantages and limitations of the gear bag. While the criteria in the following section are important to know, consider these FAQs as well before making your choice. Lowepro Fastpack 250 AW II Backpack 1-2 bodies plus zoom and 3 lenses 15” 3.96 lbs. CADeN DSLR Camera Sling Bag 1 body plus 2 lenses N/A 1.50 lbs. Tamrac Professional Anvil 27 Backpack 2 bodies plus 4-6 lenses 15” 4.80 lbs. Abonnyc Large DSLR Camera Backpack 2 bodies plus 4-6 lenses 15.6” 1.96 lbs. Neewer Pro Camera Backpack 1-2 bodies plus 3-4 lenses, or drone plus smaller camera 17” 4.81 lbs. Ritz Gear&Trade Photo Backpack 1 body plus 3 lenses 10” 1.99 lbs. This is common question, and the answer is usually that it’s not the wisest choice. Yes, you can buy foam sleeves for your lenses and body and you can even use a couple of pairs of socks in a pinch, but that often isn’t enough protection for your investment. A regular backpack doesn’t have the padded interior sectioning to prevent gear shift and impacts. This being said, if you’re carrying a point and shoot, putting it inside your regular backpack can be fine. It is still wise to segregate it from other things that could damage it, banging while you’re moving or getting wet in the rain. The greater your investment and the more professional you want to be about your photography, the more you’ll need a backpack designed specifically for camera gear use. If you take your camera on regular excursions, you will probably want more than one backpack to accommodate it. A day pack holds a body plus a lens or two. A large size holds all that plus what you want for overnight travel. Many photographers switch backpacks depending on what they plan to carry and where they’re going. If hiking in the wilderness leads you to your shooting location, you want something durable for variable outdoor conditions and made with a good ergonomic fit for you. If you’re traveling in a foreign country, security might outweigh the desire for super-easy access. Bottom line – think through how you plan to use the backpack, where you’re using it, how much you plan to put in it, and how frequently you’ll use it. The great thing about camera backpacks is that if you find a system that fits your style, many come in various sizes. Maybe you’re looking for a camera bag specifically made for women, or something with a greater-than-average amount of pockets. As affordable as they are, you can buy more than one to meet your varying requirements. While versatility is a big plus in backpacks, you will want to consider how much you plan to use the bag for cameras versus other uses. If you plan to keep gear in the backpack for storage, you don’t want to be removing and reusing it for other carrying needs. Dedicated camera bags tend to be filled with little odds and ends you won’t want to be moving all the time, even when you want the contents to be more versatile. If you must have a multipurpose bag, some camera backpacks come with modules or pods inside. They are removable, leaving behind completely empty space or partitions that function as shelves when the bag is upright. Look for this feature if you plan to empty the bag after each use and utilize it to meet other needs. Keep in mind that this is a BACKpack, as in your back. Yes, you can carry it by a handle on the top or side or sling the shoulder straps over one arm, but you will still be carrying it. Full weight is only part of this equation, since the way it is distributed also contributes to your comfort. It’s a good idea to tally the pounds of everything you plan to put inside the backpack and find an approximate comparable item. For example, a gallon of liquid weighs a little over eight pounds. That could be a match to a good, lightweight or budget DSLR body, two to three lenses, and a flash gun, depending on what you own. If you add in a laptop (another couple of pounds) plus other items, you could quickly reach 20 pounds. Pick up a comparable sack of potatoes at the grocery store to see how that feels to you. It isn’t so much the size of the backpack as the total weight of all your gear that you should be considering. Generally, you’ll be safe if your backpack is no larger than 22” long (tall) by 14” wide by 9” deep for domestic flights. Some airlines do allow carry-ons that are slightly larger, but you can’t count on this. Remember that this size is not stuffed to the gills so the pockets are bulging out, because they won’t fit in the overhead or under the seat. For international travel, the general consensus is that weight matters more than size, with 50 pounds being the limit. If you stick to the U.S. domestic size limit, you will be good on most major international flights. Move to the puddle jumper range, and it’s more like it depends, with airlines and pilots making the call based on the size of the aircraft and the total weight of passengers, cargo and bags. There usually isn’t anything special about storing your camera backpack, other than the usual need to keep it out of direct sunlight. It sounds strange for something like a backpack which will be outside when in use, but some of the man-made materials inside the bag, like padding, can break down with extended daily exposure to penetrating UV rays. A closet is a good place to store it and avoid folding it or cramming it into a corner if possible. Advances in camera backpacks have changed this marketplace into an extensive array of choices. Materials range from real leather to super-fabric synthetics. Weight crosses the spectrum too, and features are almost too numerous to list. There are no bad selections of camera backpacks on our list. You’ll find one that meets your equipment, features and budget points. Here are the criteria we rated for our camera backpack selections. 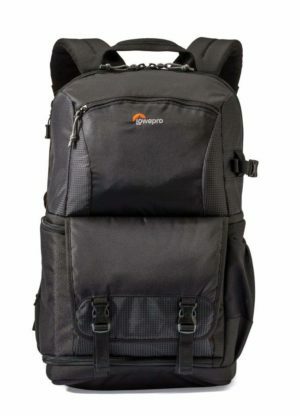 Lowepro Fastpack 250 AW II Backpack Best overall A B A 1-2 bodies plus zoom and 3 lenses 15” 3.96 lbs. 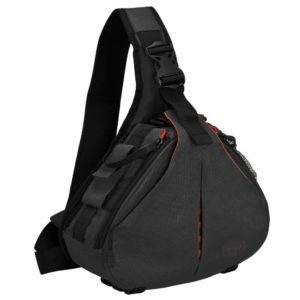 CADeN DSLR Camera Sling Bag Best for compact cameras A B A 1 body plus 2 lenses N/A 1.50 lbs. 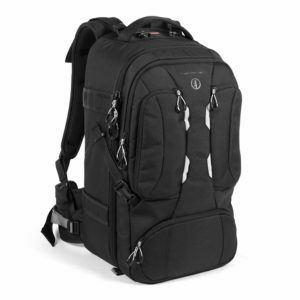 Tamrac Professional Anvil 27 Backpack Best for large gear A- B+ B+ 2 bodies plus 4-6 lenses 15” 4.80 lbs. Abonnyc Large DSLR Camera Backpack Best for security A A B+ 2 bodies plus 4-6 lenses 15.6” 1.96 lbs. Neewer Pro Camera Backpack Best for drones A- A A- 1-2 bodies plus 3-4 lenses, or drone plus smaller camera 17” 4.81 lbs. 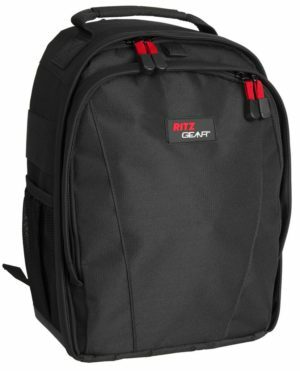 Ritz Gear&Trade Photo Backpack Best budget B+ B+ C+ 1 body plus 3 lenses 10” 1.99 lbs. Ergonomics is a mix of backpack structure, ease of use, functionality and comfort. Some of this relates to how well it fits you personally, body-wise, and also how well it accommodates your gear. We’ve rated the backpacks with a letter grade to indicate how well it fits people generally under a variety of conditions and combos of camera gear. Again using letter grades, we rate how secure this bag keeps your gear. This means an A grade is a bag that makes unauthorized access so difficult, it’s almost theft-proof. That’s not a guarantee if you leave the bag unattended, but gear probably also won’t go missing while it’s on your back in a crowded subway. 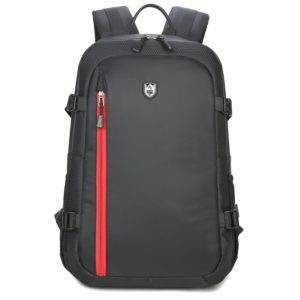 Access is dealt with differently based on manufacturer and backpack line. Some demand you put the bag on the ground to open it, and others have various access points to allow you to swing the bag around get into certain compartments. A high letter grade here means you don’t have to put the bag down and you can get in quickly without spilling other contents on the ground. This tally is simple, since bags are rated as being able to hold a certain number of bodies plus lenses. In some cases, you can repurpose a compartment or module for body or lens. Note additional comments on this in the text description for the backpacks. Unlike other more flexible measurements, laptop or tablet slots are limited based on interior space and zipper length. If you like to carry a larger screen laptop when shooting, your backpack will need to be bigger to fit it inside. 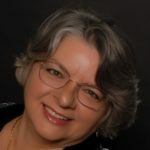 Think about the weight you’re adding, too, when you have a large computer on board. Since the backpack is something you’re carrying, you’ll want to know how much weight it adds to your already extensive and sometimes heavy camera gear.